My husband and I built our house three years ago and have slowly been changing and updating things a room at a time. 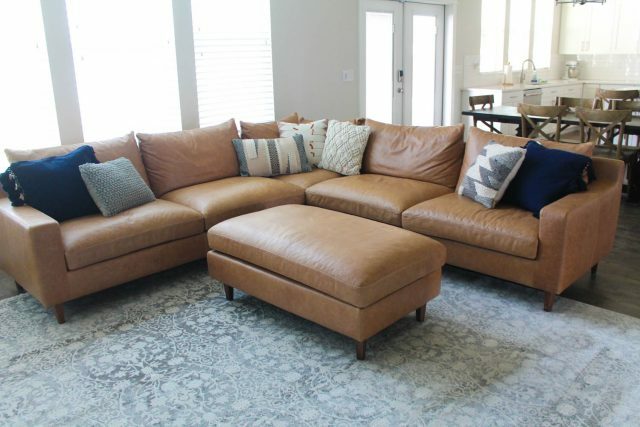 I have been looking high and low for a leather sectional, and when I found the Sloan Corner Sectional from Interior Define I knew it was the perfect piece for our living room! I love the open concept of our living room, dining room and kitchen but I felt like our beige carpet was breaking it up and didn’t have much character. My husband and I pulled out the carpet and replaced it with the laminate flooring we have installed in the rest of our home. I felt like the current state of our living room was a little drab and that the room needed to be brightened up! I found a gray vintage rug to fill the space and then got to work designing the perfect sectional for our living room with Interior Define. 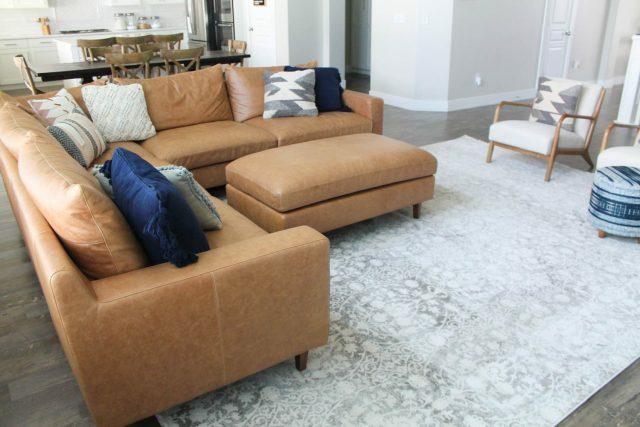 I’ve always loved sectionals because they are so comfortable and make a space feel so warm and welcoming. 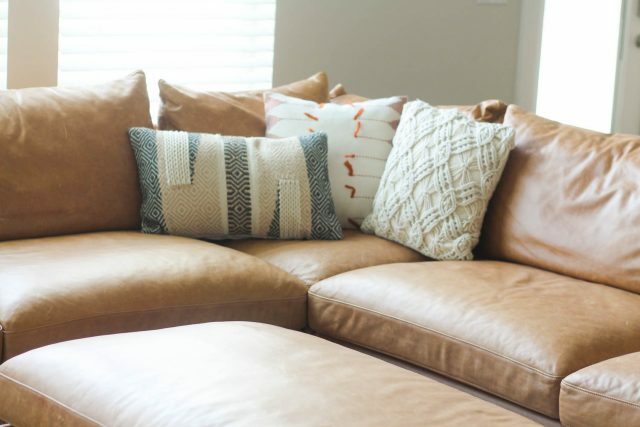 I feel like my living room is the center of my home and wanted it to be a place where my family would gather and make memories, so a comfortable, durable couch was a must! 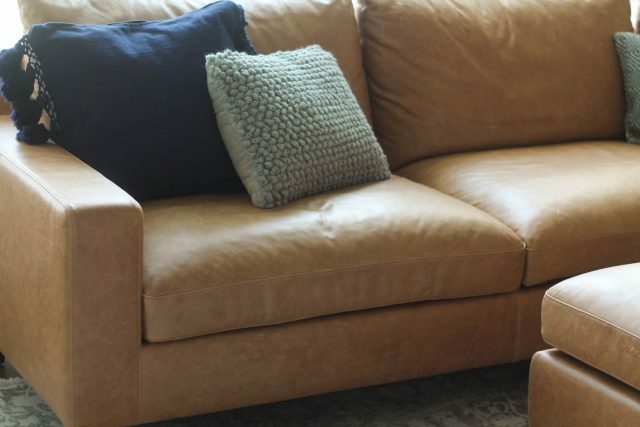 When I started looking for sectionals, I couldn’t find one that fit exactly what I was looking for. I couldn’t believe all of the different options available at Interior Define. I ordered a few free swatches to see how they would look in our living room. The swatches were the highest quality and helped me pick the perfect sofa. I loved being able to see what the fabrics looked and felt like in real life, rather than basing my decision off of pictures I saw online (which ended up being super accurate!). You can order your five free swatches HERE. 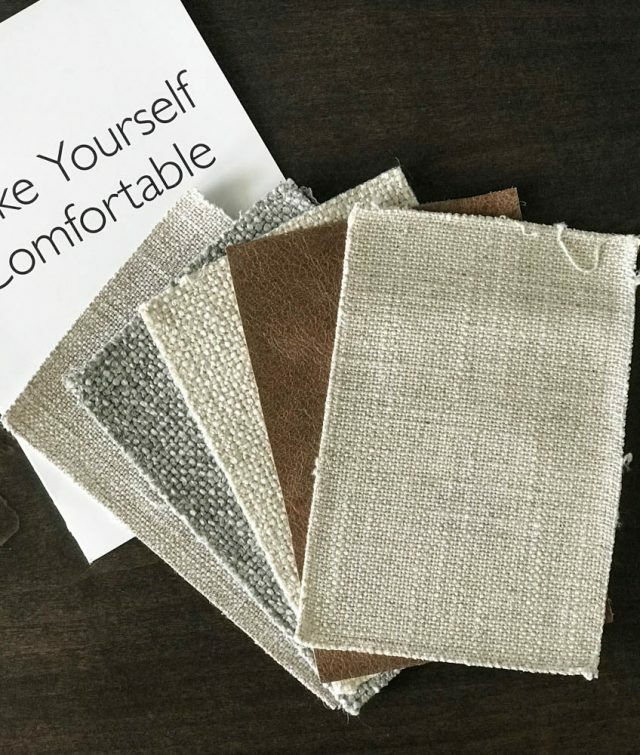 Interior Define helps you every step of the way when you are customizing your sofa. Their design specialists can even provide custom drawing and inspiration pictures to help you find exactly what you want. Start by selecting the style you want. Interior Define offers SO MANY different sofa options that it was hard to narrow it down. 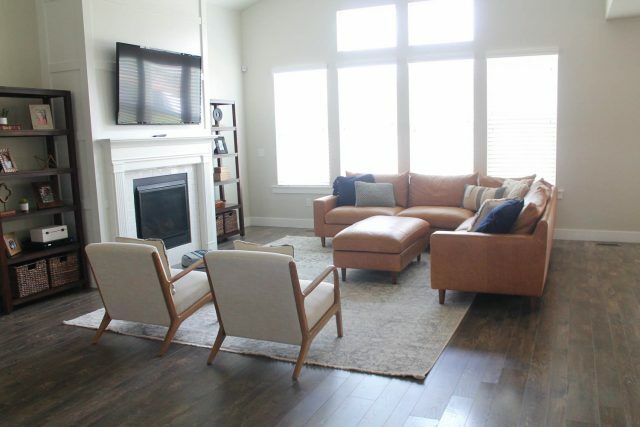 I knew I wanted a square corner sectional so I selected the Sloan Corner Sectional and Ottoman. 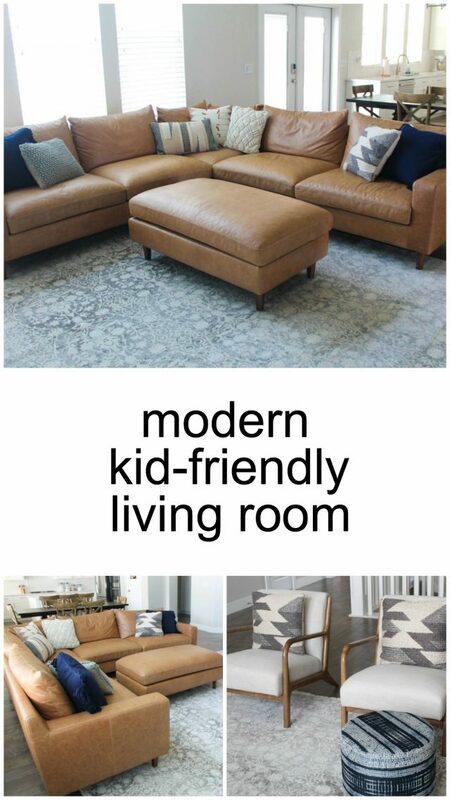 Every sofa is customizable so I selected the size that worked best for our living room. 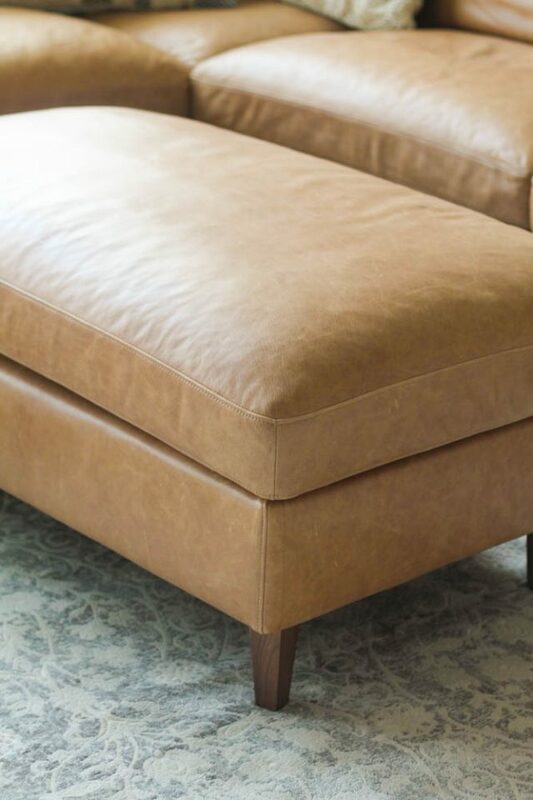 After you choose the style and size of your sofa, you can customize the color, fabric, legs, ottoman, seat firmness and more to create your perfect sofa. 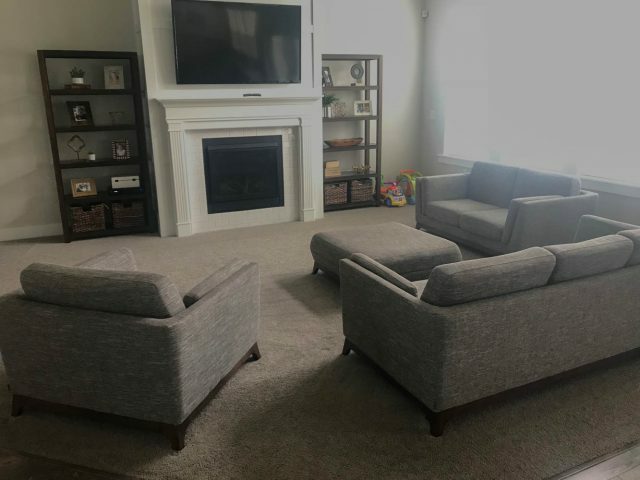 My design specialist helped me select the right size of ottoman to fit with our sectional, because I had no idea what I was doing! I was so grateful for the help. 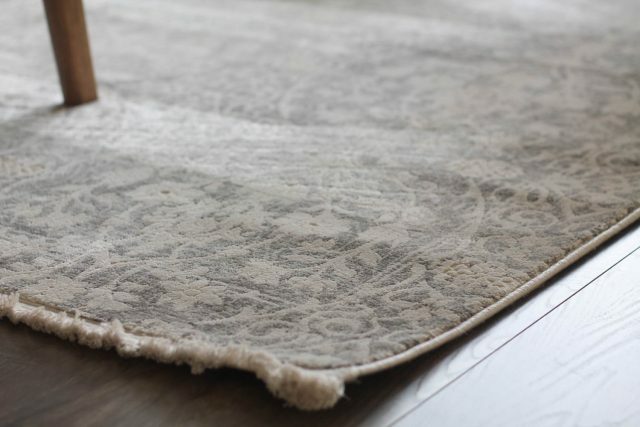 Interior Define uses the best possible materials and every single pieces goes through a thorough inspection before it’s shipped directly to you. 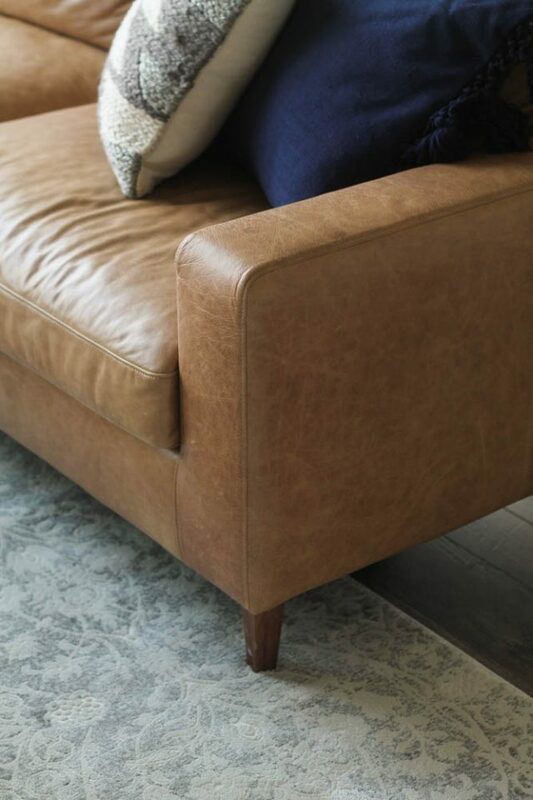 I selected the Palomino Pigment-Dyed Leather and the Oiled Walnut Tapered Square Legs. With four little kids and a dog, I needed a fabric that was durable and kid and pet-friendly. This corner might be might favorite spot in the house! It was so exciting seeing it all come together. I finally found the sofa I was searching for! 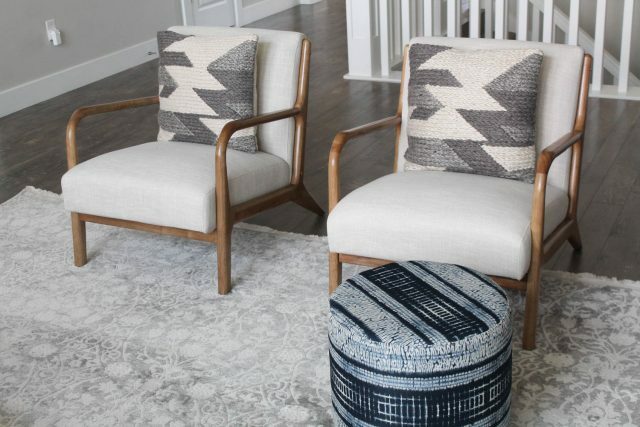 I added a few armchairs to offer more seating and finish off the space. We love to entertain and have a space to play games so I thought a few more seats might come in handy. I’ve linked the other items I used in our living room below. 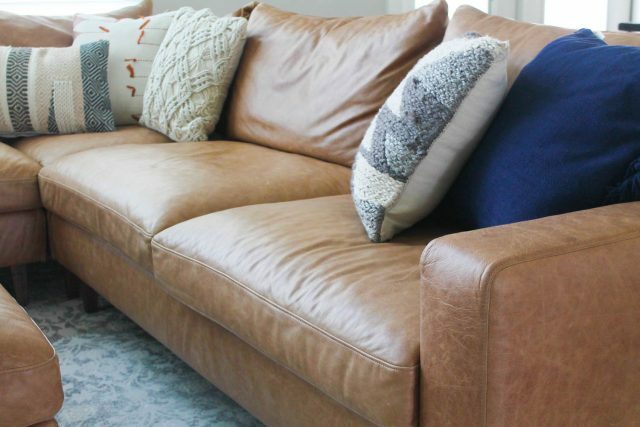 Be sure to visit Interior Define to find the perfect sofa for your home! Love it! Love the floors! Can I ask what type/brand/color the floors are? It's doing great!! We love it.